What is the Kootenay Area? Kootenay Area Council looks after the members of Girl Guides of Canada in an area covering Bridesville and Rock Creek in the west; the Alberta border in the east; the 49th parallel in the south; and Galena Bay and Golden in the north. 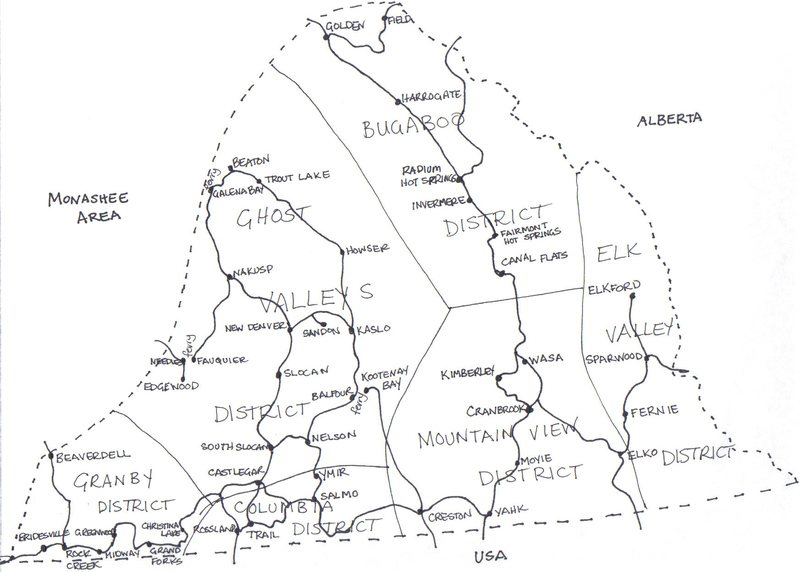 Check out the Kootenay Area District Map! Who are the Girl Guides? GGC recognises and values the richness of human diversity in its many forms and therefore strives to ensure environments where girls and women from all walks of life, identities and lived experiences feel a sense of belonging and can participate fully. This commitment to inclusion means GGC’s culture, programming and practices encourage self-awareness and awareness of others, room for difference and environments where girls and women feel safe, respected, supported and inspired to reach their potential. Girl Guides of Canada is a national organisation which is administered locally by volunteers in their own communities. It is part of the worldwide Movement of Girl Guiding and Girl Scouting overseen by the World Association of Girl Guides and Girl Scouts (WAGGGS). WAGGGS has 10 million members in 144 countries around the world. There are more than 140,000 members in Canada aged from 5 years and up.